KOR, designed by Brian Mehler, features an edgy design with curved backs and arms and arched, angled legs. 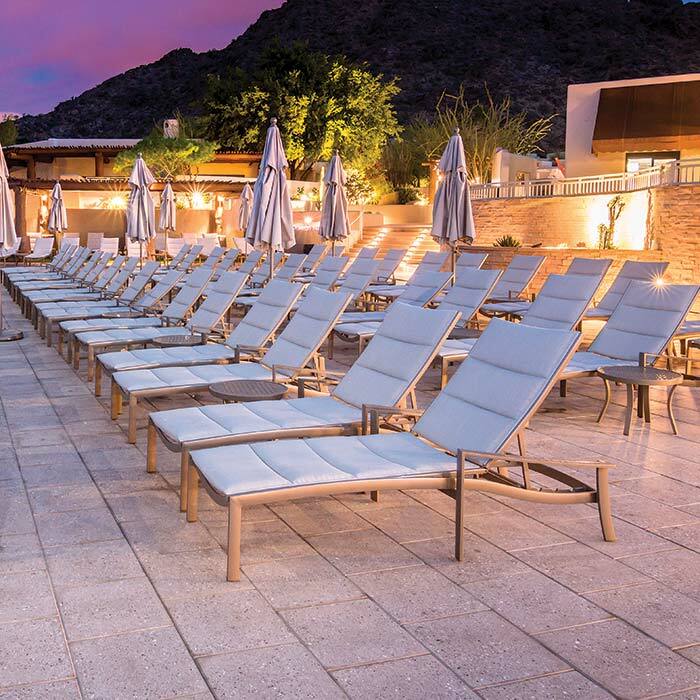 Inspired by mid-century modern design, the contemporary collection includes padded sling dining chairs, lounge chairs, spa chairs, chaise lounges, and bar stools. KOR Padded Sling seating features two pieces of double-sided fabric slung across the seat and back frame creating a modern look and enhancing comfort.